Home Advice Good Time to Buy Property in France? Good Time to Buy Property in France? Always wanted a property or second home in France? Now is the time. Instability in the Eurozone means it is a good time to buy property in France. In effect, a savvy option for investors to future-proof their finances. A buoyant housing market and a stronger pound, combined with stagnant prices and cheap mortgages in the eurozone, is fuelling a resurgence in Britons and non-Europeans buying overseas. As the Eurozone continues to struggle, the Euro has significantly devalued against nearly all major world currencies. Volatility in politics always creates buying opportunities in the markets. The buying opportunity is a good time to buy property in France. 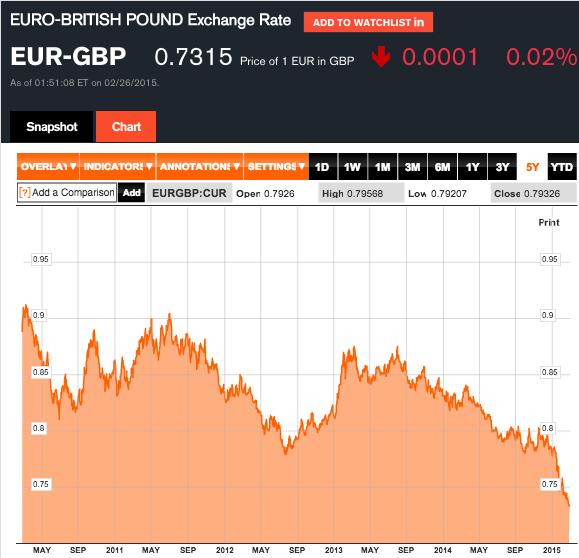 As can be seen below, the Euro has reached a 7 year low against the British Pound. Is now a good time to buy property in France? For those outside the Euro, yes! Harrison Brook has been receiving enquiries from the UK, Swedish, Russian and US national clients. Especially, looking to capitalize on the troubled Eurozone. Property Purchase – Where do you start? Buying property in France is exciting but needs planning. 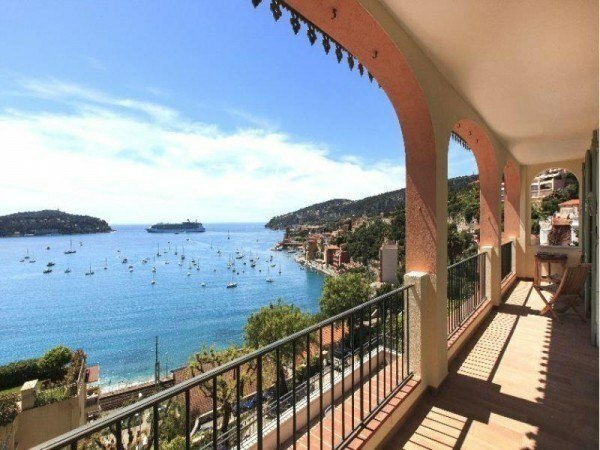 Through our existing client base in the South of France, Harrison Brook has working relationships with nearly all of France’s leading real estate and boutique agencies. Our experience and client feedback have allowed us to select partners who provide the most consistent and cost-effective results for our clients and build a network of partners who we can trust to hold our clients best interests at heart. As such, whether you are looking for your dream villa or a second holiday home, we can ensure you begin your journey by speaking with the real estate company most suited to your specific purchasing requirements. Furthermore, with preferable terms of business with all of our partners, we can ensure you achieve the very price on your purchase. Take the first step in your property search today and a Harrison Brook Adviser will be in touch shortly to understand your property requirements in greater detail to match you with the partner most suited to your purchase. If you have ever purchased property abroad before you will be well aware that your ‘credit rating’ is not international. In short, this means that no bank in France will be able to offer you a mortgage. This is where international mortgage specialists help. We have terms of business with international banks in all nearly every country in the world. This ensures our international mortgage specialist helps our clients attain mortgages and property purchases. Especially those that simply would otherwise have not have been possible. Even if you have the money to purchase your property outright (100% cash) with mortgage rates at an all-time low and fixable over a fixed term period why not lock-in now for low-interest rates and get the rest of your money working harder for you elsewhere. Leave your details for us to contact you for a brief individual assessment before summarising your needs and forwarding for your international mortgage search to begin. A key area often overlooked in the excitement of finding your ‘perfect property’ is the competitiveness of your exchange deal. The extortionate charges on high street banks can easily be avoided though. Staff in banks are also unlikely to have the expertise or incentive to help you attain the best possible rates and give you advice on the best timing. Political and economic events regularly cause exchange rates to fluctuate. While 1-2% may sound small, €10k can quickly evaporate from your transaction value without even knowing. Harrison Brook specializes in such currency matters, so speak with an advisor today. Also if you are moving to France or going to be owning property here, what impact does this have on your taxes? This is a key area we help our clients navigate. Especially to ensure their affairs are arranged in the most tax-efficient manner possible. In conclusion, yes it is certainly a good time to buy property in France. Click Get Started for a free analysis of your purchasing needs from Harrison Brook Advisor located in France.